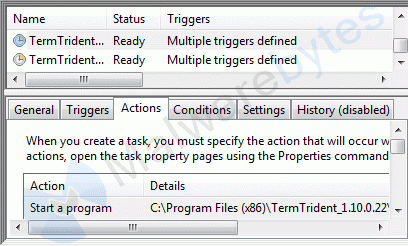 The Malwarebytes research team has determined that TermTrident is adware. These adware applications display advertisements not originating from the sites you are browsing. How do I know if my computer is affected by TermTrident? How did TermTrident get on my computer? 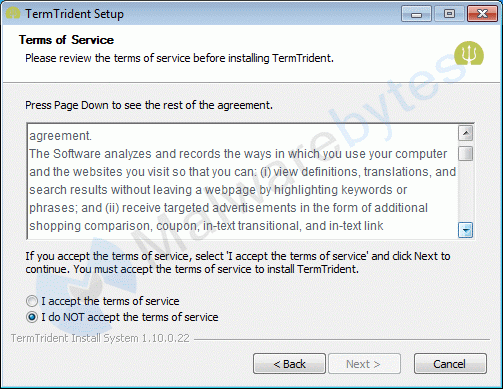 Is there anything else I need to do to get rid of TermTrident? 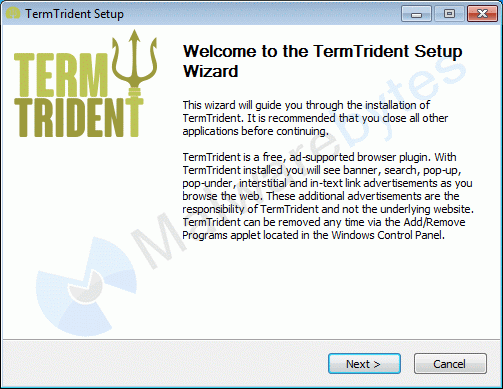 No, Malwarebytes' Anti-Malware removes TermTrident completely. As you can see below the full version of Malwarebytes Anti-Malware would have protected you against the TermTrident adware. It would have warned you before the application could install itself, giving you a chance to stop it before it became too late.